2. Using a rectangular piece of graph paper, set up a graph plotting Fahrenheit versus Celsius so that vertical axis is Fahrenheit ranging from 250 down to -150 and the horizontal axis is -100 on the left and 125 on the right. c. If the plot is a curve, can you write the equation of the curve? 3. Now plot Celsius versus Kelvin on a rectangular coordinate graph. If Kelvin is the y axis and Celsius is the x axis, what is the y axis intercept? What is the slope of the line? In the Corwin textbook on page 62 we refer to temperature on the Fahrenheit and Celsius scales as degree F (oF) and degree C (oC), but in Kelvin temperature, temperatures are referred as Kelvin units? Why? 4. Now plot Celsius versus Student and Fahrenheit versus Student using separate graphs. On the oC vs oF graph, examining the data do you notice that: -40 oF = -40 oC. 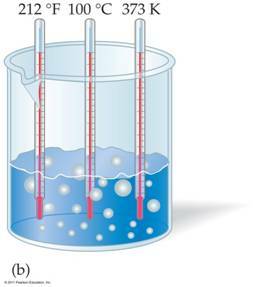 On your two Student graph plots is there a temperature where oS = oC or oS = oF? 5. 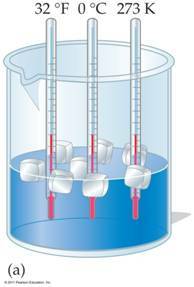 Algebraically is there away to determine if there is a temperature on the Taylor Scale, the Sweet Scale, or the Student Scale when that temperature equals a temperature on either the Celsius or Fahrenheit scale? 6. Fahrenheit, Celsius, Taylor, and Sweet temperatures are listed in degrees, while Kevin and Rankin temperatures are given in straight units not degrees. Why?